Enjoy seaside fun no matter where you are, with Playsand 15kg. Our soft premium play sand is read to use straight from the bag—just pour and play! Play sand is graded and washed to a high standard, so kids can enjoy safe and clean fun with sand. 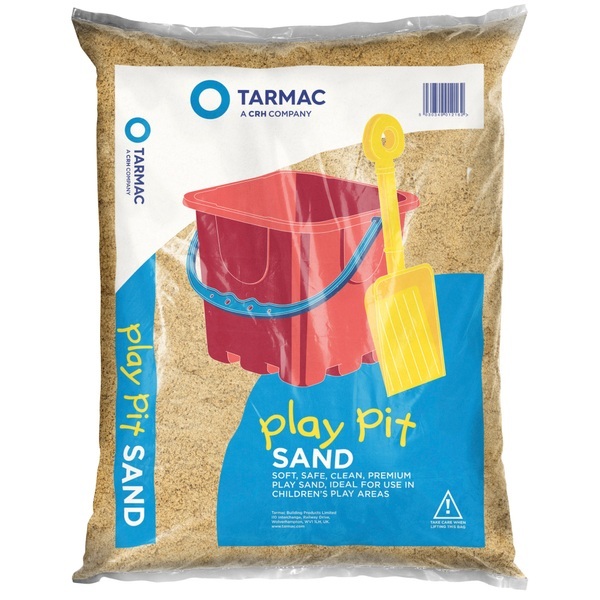 Playsand 15kg is designed for use in children’s play areas, sand pits and sand and water tables, so kids can build sandcastles, dig moats and play in their own garden. Sand play is great for sensory and tactile development, providing children with new textures to discover. Explore creativity and role play fun: with sand, your child can be a prince building a kingdom full of canals and water ways, a pirate hunting for her buried treasure or even an astronaut exploring the sands of Mars. Specially graded and washed, this play sand is clean, safe, non- staining and non-toxic. Its low abrasion texture and finer quality minimise irritation, so it’s not scratchy on delicate skin. This provides kids with a safe and fun environment for indoor or oudoor play. Bring home all the fun of the beach with Playsand 15kg.